FishHawk Krav Maga: The Super Effective Self-Defense Training from the Israeli Military Combined with Calorie-Destroying Workouts. 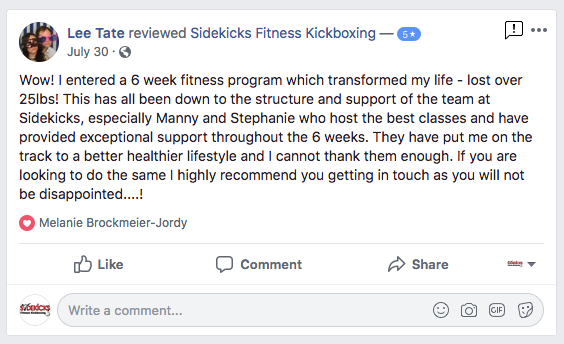 Sidekicks' Krav Maga classes have jsut two goals 1) Get you in the Best Shape of Your Life and 2) Help you Go Home Safe. We'll help you do both while having fun, being part of an amazingly supportive community, and reaching your full potential. Krav Maga finds its origins in the Israeli military. They crafted it to work WITH the way your body naturally responds to danger - not against it. Not Krav Maga.. this system takes the incredible traditional martial arts strategies and applies them to real world situations. What can be learned quickly and and actually used under stress, stays. Only the stuff that works gets taught in these classes! Krav Maga combines techniques from boxing, savate, Muay Thai, Wing Chun, Judo, Jiu-Jitsu, wrestling, and grappling to make sure YOU are ready to defend yourself! How to defend yourself & the ones you love from an armed attacker. What do do against opponents that are bigger than you. Beginner? Your Tribe is Waiting. Even if you've never thrown a punch in your life... you have a place here at Sidekicks. In fact, almost all of our members were total beginners when they came in for their first class. You'll get support, kindness, and help from both the instructors and members during every class. 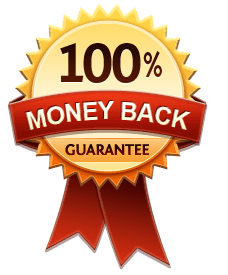 One of the best things about Krav Maga, is that in addition to being the most effective self-defense system for beginners you will also get in awesome shape. Each class is packed with workouts that burn fat, and tone muscle through you're whole body. You'll build strength, increase endurance, flexibility, power, and speed. Plus, you'll love your body. Combined with our healthy eating recommendations and Krav Maga classes with help you get in the best shape of your life. Which is great, because healthy people are harder to attack! We won't lie to you, these classes are tough. They will force you to step outside your comfort zone in order to reach your goals and make you safer. Good think you can dig deep and bring it. Your confidence will skyrocket as you realize just how strong you really are. This will turn right around and help you in every other area of life. As Imi Lichtenfeld, the founder of Krav Maga put it, the ultimate aim of Krav Maga is "so one may walk in peace."